Why Pugpop? That's been my handle for the past twenty years. 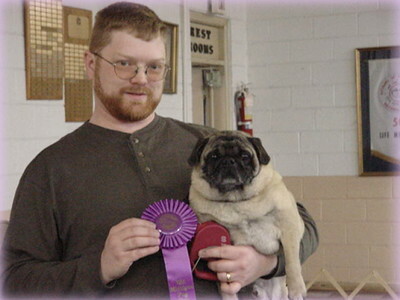 It comes from fostering pugs for several years with the Mid-Michigan Pug Club & Rescue. The picture on the left is myself with my best friend Chewy who was a rescue that we were fostering. But he had other plans and decided to adopt us instead! I'm a Senior Electrical Designer by trade, working in the Steel and glass industries in Pittsburgh designing manufacturing facilities. Before that I worked in my hometown of Detroit cutting my teeth in the car manufacturing world doing design work for automotive assembly plants. My photography goes back to the days when a photographer left the darkroom with fingers smelling like stop-bath and Blix and a preview was an 8x10 contact sheet. I often miss the old-school ways were the art of photography was more than moving a mouse around. I still mix up the chemicals and place them next to me while I'm "developing" pictures on my laptop just to get that old feeling. It was when I learned about a technique called High Dynamic Range (HDR) that rekindled my passion for photography. At this point I wasn't too impressed with digital photography, most of what I saw were photos that didn't have the range film offers. Now, just about all of my work is run through the tone-mapping processing of HDR.